Broadly dubbed as one of the leading forces in the next generation of world-crushing talents in the electronic music stratosphere – Thomas Newson’s rise to global prominence has been nothing short of spectacular. He now opens a new chapter by launching his own radio show Federation Radio to provide a fresh platform to document this extraordinary musical journey. Famed for his monster-hit ‘Flute’ and a library of internationally received anthems with the likes of Revealed Recordings and Armada Music – Thomas now turns his eyes and ears to the radio format to bring the power and skill of his famous DJ shows direct to your home. With every new episode, Thomas will kick off each show with ‘The Warm Up’ – an up close and personal listen into the latest alternative cuts from his diverse musical catalogue, before transitioning to the main show in which you’ll hear some of the most exclusive new Progressive House in the world. As if that wasn’t enough – Federation Radio will also feature a ‘Brand New Talent Mix’. As an artist who’s already set the blueprint for how to breakthrough in the 21st century music world – Thomas Newson now aims to offer a platform for future stars of tomorrow to showcase their sounds and styles. All of these features are rounded off with Thomas’ very own ‘Top 3 Countdown’, which will cover his personal selections of the best trio of records in the world right now. Federation Radio will debut on radios in France, Thailand, Algeria, South Korea, Peru, Japan and Portugal – as well as online with every episode for easy access playback on YouTube and as a podcast. Tune in today as we launch a new chapter in the story of one of the most exciting talents to emerge from the electronic circle in the last decade. Listen, enjoy and get involved by using #asktommy to submit questions for the ‘Ask Tommy Anything’ feature on the shows. Thomas Newson: “I want to be able to release a different kind of sound with every track I release. Federation radio is my new radio show that enables me to share the music that I personally love with my fans worldwide. That sound ranges from cool underground club tracks to the heavy EDM sounds that I like to play out in my sets. Thomas Newson’s upcoming tour dates include Hungary, Turkey and an extensive bus tour together with Hardwell through North America. Thomas is encouraging up and coming producers from around the world to send over their latest music for consideration for the show. 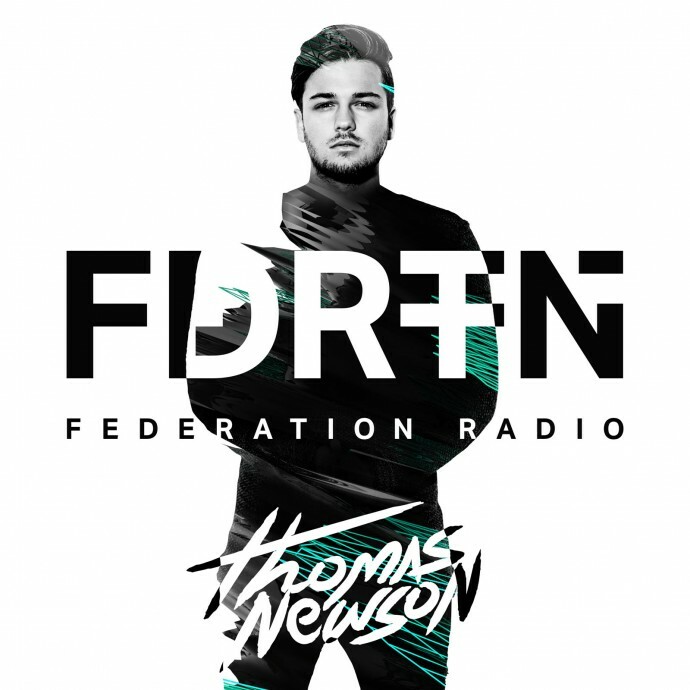 If you think your latest work has got what it takes – send your promos over to radio@thomasnewson.nl for a chance to be featured on future Federation Radio shows.